One study in women showed that a fluid loss of 1.36% after exercise impaired mood and concentration and increased the frequency of headaches . 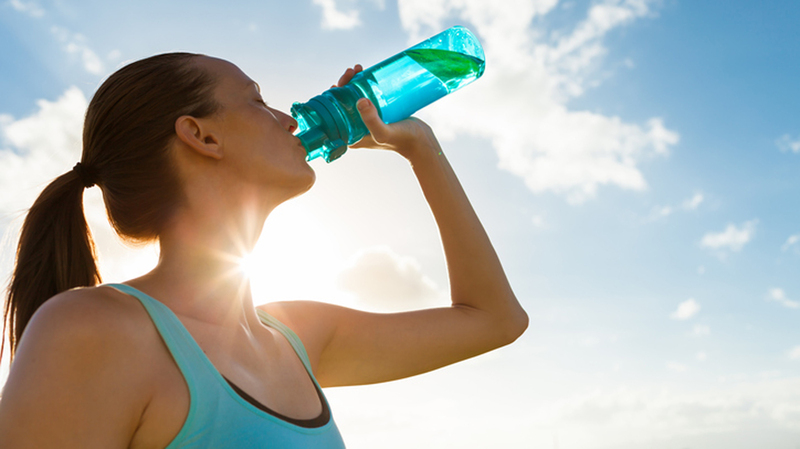 According to two studies, drinking 17 ounces (500 ml) of water can temporarily boost metabolism by 24–30%. Drinking water about a half hour before meals can also reduce the number of calories you end up consuming, especially in older individuals. One study showed that dieters who drank 17 ounces (500 ml) of water before each meal lost 44% more weight over 12 weeks, compared to those who didn’t. In fact, studies show that the diuretic effect of these beverages is very weak. For the majority of people, there probably isn’t any need to worry about water intake. The thirst instinct is very reliable. There really is no science behind the 8×8 rule. It is completely arbitrary. Furthermore, older people may need to consciously watch their water intake because the thirst mechanisms can start to malfunction in old age.